​​​​​​​Council encourages staff to look after their mental health at work. Highland Council is encouraging its staff to look after their mental health, while at work, during Mental Health Awareness Week 2018 which runs from Monday 14 to Sunday 20 May 2018. 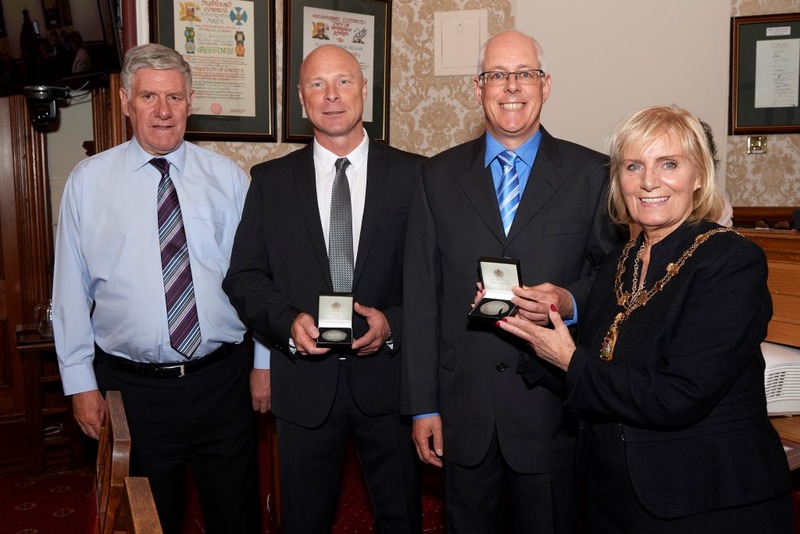 The civic Inverness Medal has been awarded to two members of Highland Council staff for saving a colleague’s life by administering CPR. The Highland Council's Community Services have recently completed a recruitment drive for apprentice mechanics. Budget discussions between the Council’s Administration and Political Groups and Unions are continuing in the lead up to The Highland Council’s budget meeting on 25 February. A team of councillors has been set up to lead the Administration’s thinking on the council budget. A report to the Resources Committee on 25 February showed an improving picture for gender pay gaps in Highland Council employment. Lauren Clark, a clerical assistant with Throughcare and Aftercare, a small team that supports young people in care move into independence, has been named as The Highland Council’s Employee of the Year. The Highland Council is among the winners in the RoSPA Occupational Health and Safety Awards 2014.